Wikipedia is the world’s largest and most-used encyclopedia, and often students’ first point of call for research. To increase students’ understanding of how to read and contribute to Wikipedia, editing it is being used increasingly in the classroom as a learning activity and even an assessment tool. But where do you start, and what are some of the roadblocks? Join three academic professionals from The University of Melbourne, La Trobe and Monash as they consider and discuss the use of Wikipedia for university teaching and research. A perfect starting point for questioning how Wikipedia can be used to enhance your teaching in any discipline, come along for the panel discussion. The panellists come from a range of academic backgrounds, each bringing alternative insights to these discussion points. Prof. Tina Brock is Professor of Pharmacy Education and Practice in the Faculty of Pharmacy and Pharmaceutical Sciences at Monash University where she is part of the leadership team for an innovative integrated masters course in pharmacy. Dr Thomas Shafee is an evolutionary biochemist at La Trobe University, with a focus on protein engineering. He is also a keen contributor to improving the images and citations on science topics in Wikipedia. He organises Wikipedia-Academia integration as an editor for PLOS Genetics and editor-in-chief of WikiJournal of Science. Dr Mary Tomsic is an historian working as part of an ARC Laureate Fellowship on the history of child refugees and Australian internationalism at The University of Melbourne. Mary is a member of Melbourne University’s Wikipedia Community of Practice and is particularly interested in representations of women’s and feminist history on Wikipedia. Prof. Tina Brock will talk about how pharmacy students at Monash’s Faculty of Pharmacy and Pharmaceutical Sciences learn how to edit Wikipedia pages as part of their course. La Trobe University’s Dr Thomas Shafee will share his experience of teaching biochemistry postgraduate students to use Wikipedia, and WikiJournals, for literature reviews. Chairing the panel will be Dr Mary Tomsic, a historian and co-organiser of the Melbourne University’s Wikipedia Community of Practice. If you have considered engaging your students with Wikipedia or information literacy but don’t know how and where to start this is an event not to be missed – no matter what discipline you teach in! This event runs as part of Information Awareness Month and is just one of many events upcoming. Now available through Melbourne University Press are six Australian Classic texts free for eBook download. Accessible to anyone, the classic titles are just a taste of the many works that have been published by Melbourne University Press, Australia’s preeminent university publisher dating back to 1922. Robin Boyd: A Life by Geoffrey Serle, a biography following Robin Boyd’s contributions as a key figure in Melbourne’s Modern Architecture movement. Russell Grimwade by John Poynter, a biography on the diverse life and career of Australian Industrialist Russel Grimwade and the very first text to be published in the Miegunyah Press series in 1967. Charles Conder, The Last Bohemian by Ann Galbally, a passionate biography on Charles Conder, the original and young Impressionist from Heidelberg School whose works remain in many international major collections. Robert Menzies, A Life by Allan Martin, the first detailed biographical account of the life and rise of the powerful public figure Robert Menzies. Mawson, A Life by Philip Ayres, a biography detailing the significance of Sir Douglas Mawson’s life and work as an Antarctic Explorer. A World That Was by Ronald M. Berndt and Catherine H. Berndt, an encompassing fieldwork-based account of traditional Aboriginal life for the Yaraldi group of south-eastern Australia. These texts each offer a variety of valuable insights into Australian history, contributing to our understanding of how past political figures, cultural movements and complex social networks have evolved and impacted upon our current social climate. These works have been published by Melbourne University Press’ sub arm Miegunyah Press, who pride themselves on their original, prestigious and affordable publications with unique cover design. Download these classics today, and take a look at what else Melbourne University Press has to offer. Research translation, or knowledge mobilization, is regarded as increasingly important activity as governments and the broader public demand that publicly-funded research has ‘real-world’ impact. Furthermore, as a growing number of PhD graduates find employment outside of academia, being able to ‘translate’ your research expertise in various contexts is increasingly important. 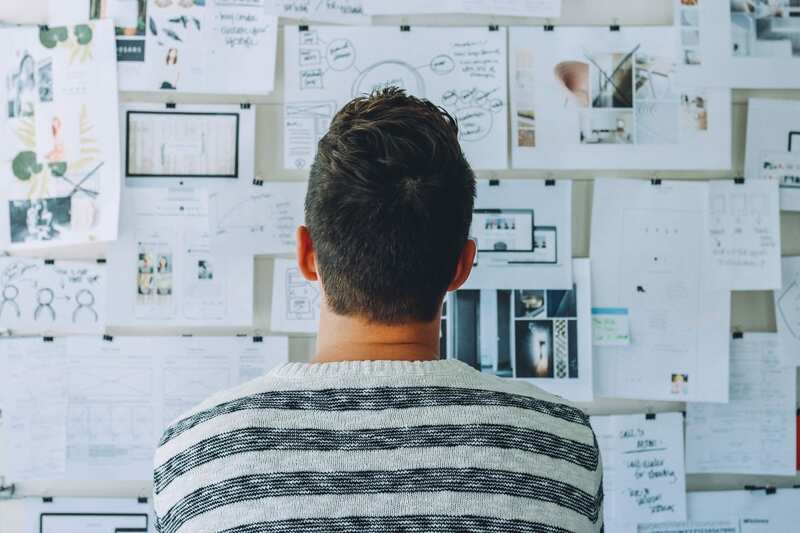 Research translation is generally thought of as the process of getting the right information, to the right people, at the right time, in a format they can use, to influence policy, practice and decision-making in various contexts – in other words, making your research findings impactful. In this lunchtime session we ask a panel of experts from science, arts, medicine and business, to discuss what ‘research translation’ means to them, what the relationship is to ‘research impact’, and why this is important to graduate researchers and early career academics. This workshop introduces graduate researchers and ECRs to the concepts and principles of research/knowledge mobilization and highlights the skills needed to make your research relevant to broader audiences outside of academia. Venue: Dulcie Hollyock Room, Ground Floor Baillieu Library, University of Melbourne. Register for this panel discussion or subscribe to Researcher@Library blog to never miss an announcement, training and resources! Ever dreamt of recording your own podcast? 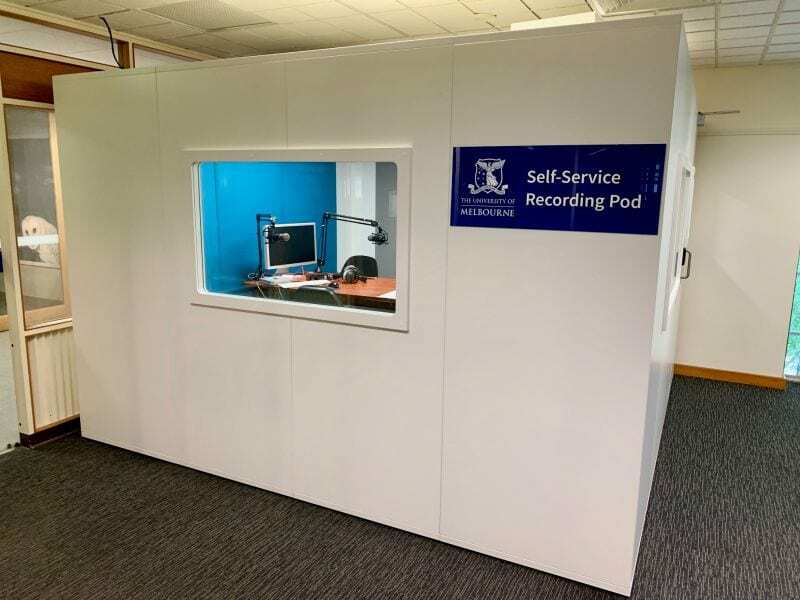 The University of Melbourne offers the self-service recording pod (humbly pictured above). This facility is located in the Baillieu Library and enables University of Melbourne staff to produce audio and screencast recordings. The service is available during the opening hours for the Baillieu Library (but not during after hours study zone times). More information on how to book and use this service is available on the Learning Environments website. Happy recording! This database trial ends 23 April 2019. This online reference work reconstructs the lexicon for the most important languages and language branches of Indo-European. It is a voluminous resource for historical and general linguists. Dictionaries can be cross-searched, with an advance search for each individual dictionary enabling the user to perform more complex research queries. Each entry is accompanied by grammatical info, meaning(s), etymological commentary, reconstructions, cognates and often extensive bibliographical information. This database is available for University of Melbourne staff and students and can be accessed via the Library Catalogue. Your feedback on trials is important and is used to inform possible purchase decisions. Visit the E-Resources@University of Melbourne blog to add your comments on this trial resource. Subscribe to Researcher@Library blog to never miss an announcement, training and resources! At our upcoming April meetup, we will join La Trobe University’s #shutupandwiki at 1pm for an hour of intensive independent editing. Helpful Wikipedians will be on hand from 12:30pm to show newcomers how to make edits and create articles. UoM Wiki Agenda (UMWA) is a regular meetup for new and experienced University of Melbourne Wikipedians interested in addressing the Wikipedia diversity gap.All welcome. BYO lunch. Tea and coffee provided. This is an informal meet-up so join for all or some of it.Enquiries: wikiedit@lists.unimelb.edu.au. Stay updated with the Community of Practice. The new platform is a comprehensive repository of business and technology resources that help prepare students for today’s technology-dependent workforce. Unlike Classic Safari, New Safari offers an unlimited user access model with exclusive O’Reilly-produced content from more than 250 world-renowned innovators and corporate leaders which includes more than 36,700 titles and 4,800 videos. The new modern interface offers mobile access, downloading and personalization functionality. The “Old” Safari platform with still be available until the 30th June 2019. The “New” Safari platform is available now – access via the University of Melbourne Library Catalogue. Leave your comment on the E-Resources blog if you like this database! For frequent updates from our blog, sign up to our email list to never miss a post.